* Free Gifts are valid only on Post-Paid Plans. "Coverage across 24,000 towns and 6 lacs villages. To know more click here"
Just pay Rs. 1599/- and get a Reliance Netconnect Broadband+ USB Modem. * Nationwide coverage will ensure Reliance Netconnect Broadband+ coverage in more than 500 cities and seamless integration with High Speed 1x for National coverage. - Please note that day/night classification of a particular session will be done on basis of session start time i.e. If the session starts in Peak time/Day Usage (6 AM to 10 PM), it would be classified as a day session and if the session starts in Off-peak time/Night Usage (between 10 PM to 6 AM), it would be classified as night session. - Minimum guaranteed speed on Netconnect Broadband+ is 256 Kbps subject to technical feasibility. Reliance Netconnect 1x services is available in a choice of Postpaid and Prepaid Tariff options to suit your specific needs. Get 50% off on first 2 months bills and save Rs. 650/- on Freedom Special plan . Voice calls and SMS on Reliance Netconnect as per NJ149 plan of Reliance Mobile with zero rental for voice & SMS services. 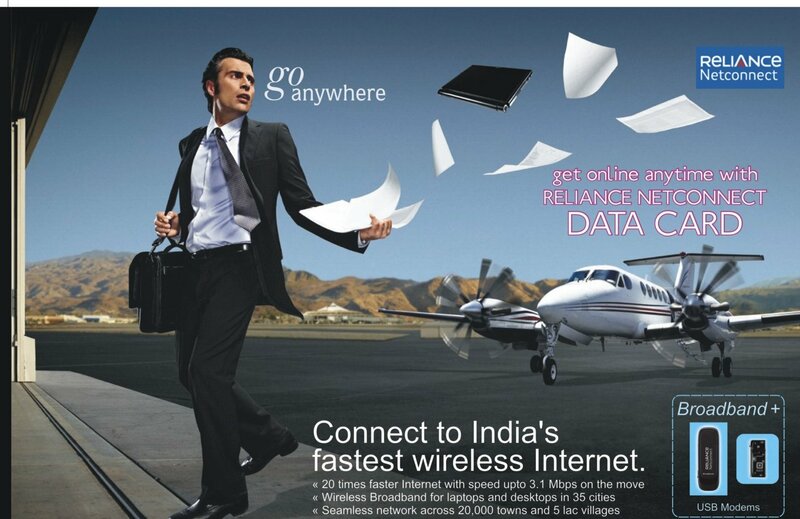 Prepaid on Reliance Netconnect is applicable on all Reliance Mobile prepaid recharge vouchers.